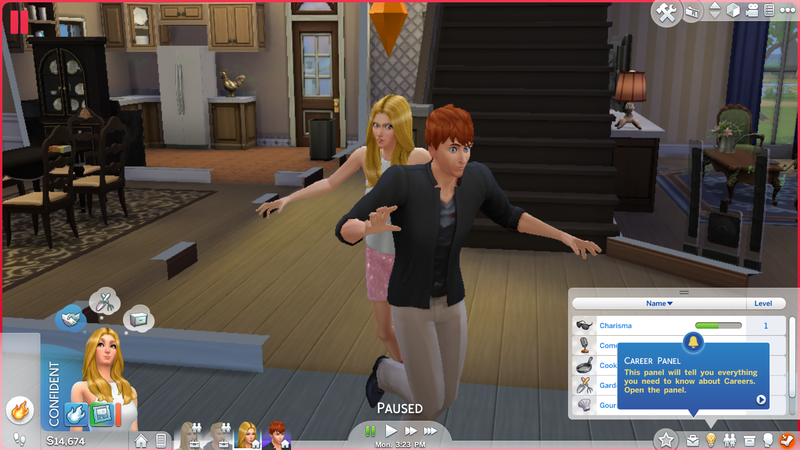 Sims 4 gameplay with Jordan Family: Fire! Fire! Fire! Jeff and Jennifer was at work and I didn't expect promotion from them as it's their first day at work.Now let's focus on Laura and Alex. 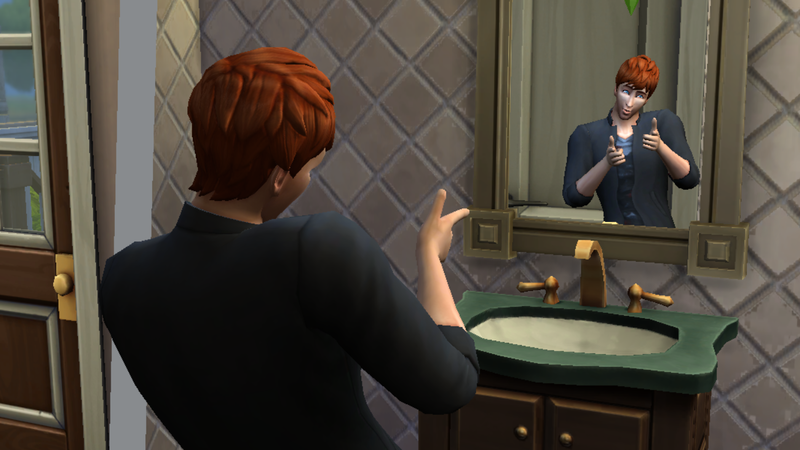 Laura was feeling happy and I thought it's the perfect time for her to build some skills.She acquired the Gourmet Cooking skill from the skill book.Meanwhile Alex was trying to become confident by practicing speech on the mirror. 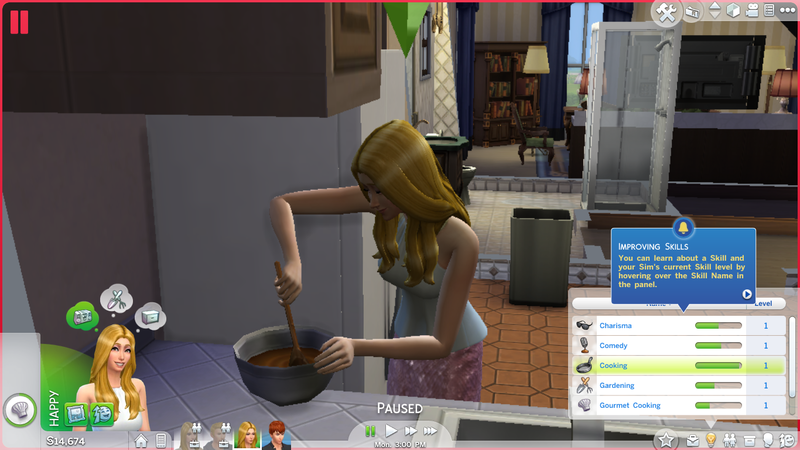 Laura went to bake a white vanilla cake.In Sims 4 how Sims work when they're in a happy mood and when they're sad - it's two different scenario and I enjoy that; to me it's realistic. 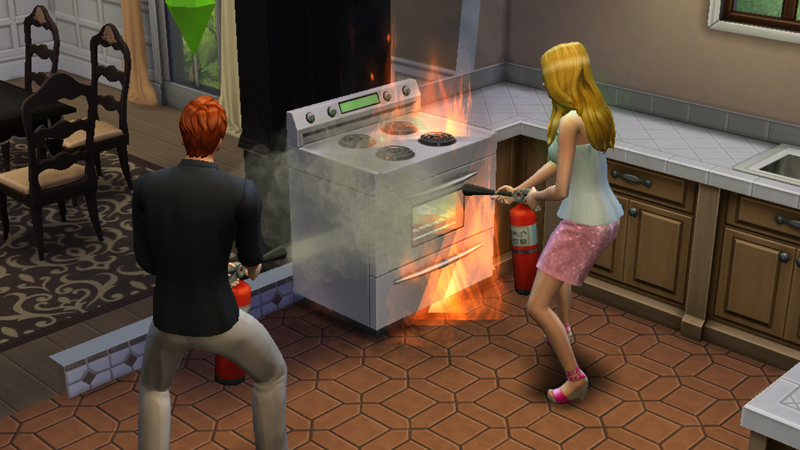 Few minutes after she put the cake to be baked the oven, fire broke out. 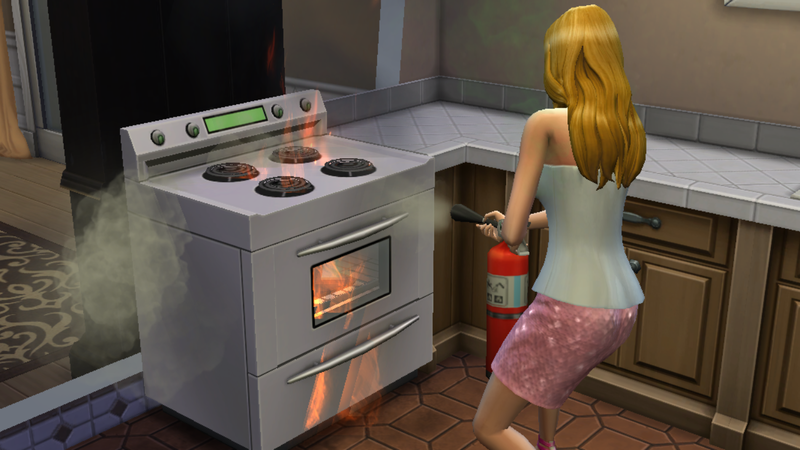 Obviously she became very tense.Alex ran into the kitchen to put out the fire. 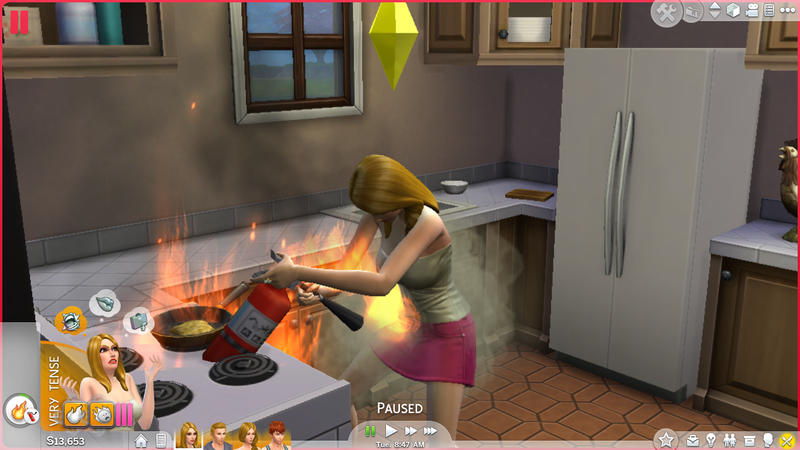 In Sims 3 when fire breaks out Sims run and gather around the fire only to regret which makes the situation worse but in Sims 4 Sims run out of the lot in which fire breaks out even after extinguishing the fire.My Sims are running from fire in the pic below. 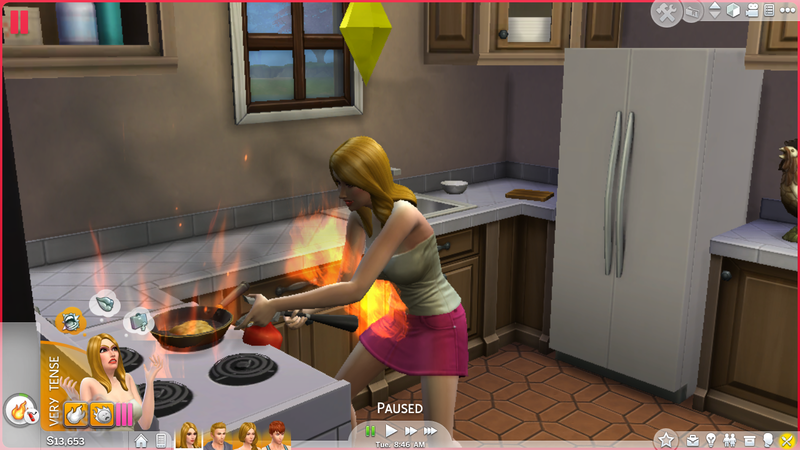 Laura became confident from extinguishing the fire.She took a shower and went off to work.But wait...fire isn't over yet. 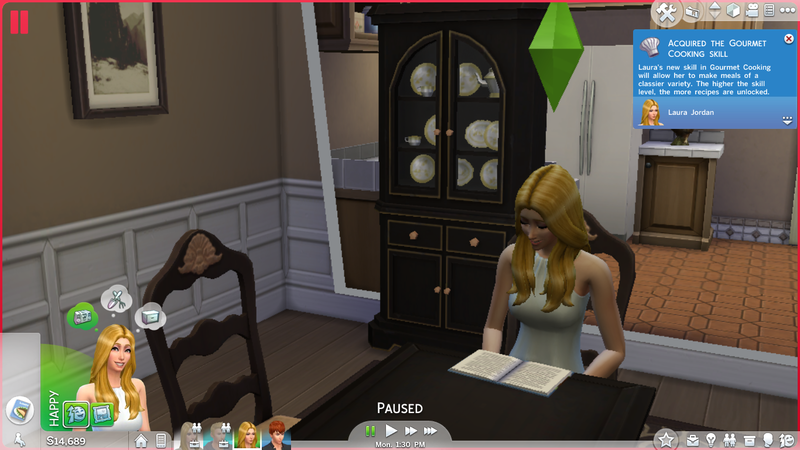 Jennifer returned home being tense because of the work load.When Sims become tense a bath or shower can relieve them. 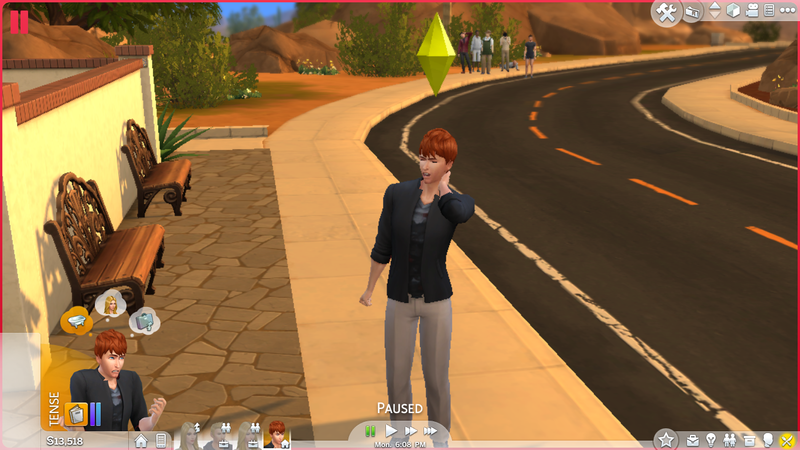 Last time I switched control to Alex, he was focused after putting out fire.So I sent him to visit Oasis Springs.In Sims 4 you can travel between town and while in another town you can still control the Sims left in home.However as soon as Alex reached the town he became tense.Actually I really hate that Sims' mood changing in seconds in Sims 4.It always ruins the fun. 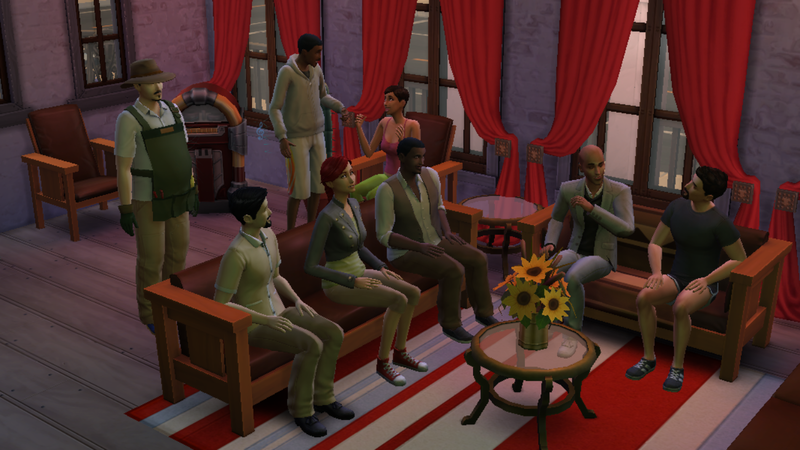 When Sims are in bad mood they're likely to give a rude introduction to the Sims around them and Alex did the same.Below is a pic of another part of the community lot where townie Sims are socializing with each other.Sims 4 community lots are so lively and crowded! 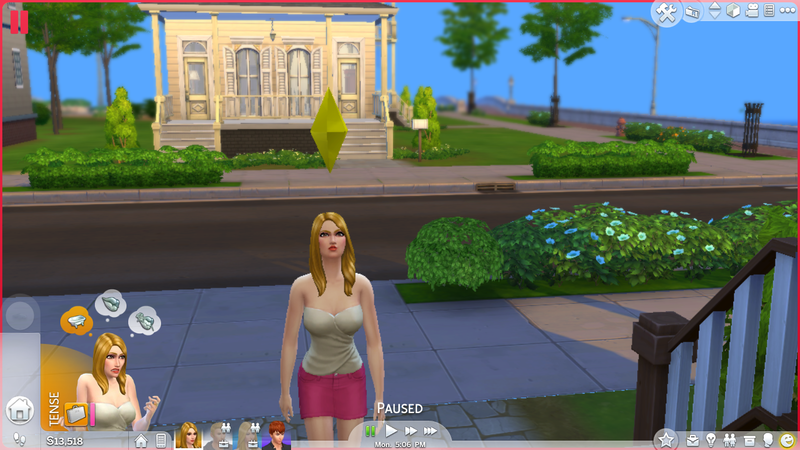 Laura returned home being very tired; see her walkstyle? She quickly went to sleep. 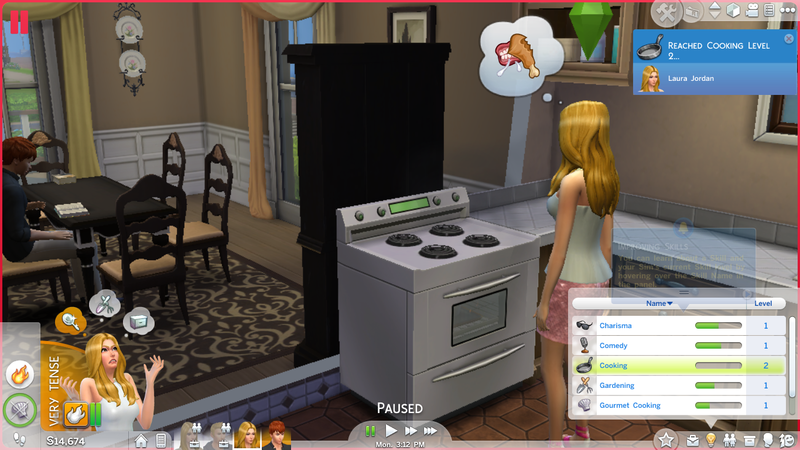 Jeff also returned home from work.I like the feature of multitasking in Sims 4.However fire again broke out in the kitchen even after replacing the oven when Jennifer went to cook. 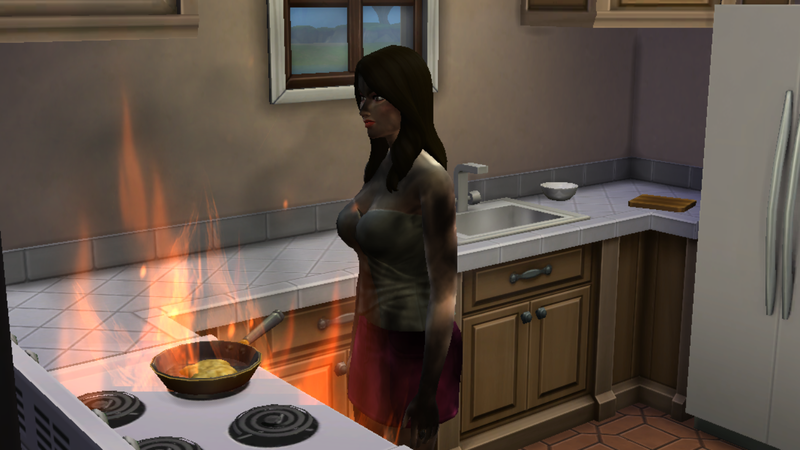 And this time it was very dangerous as Jennifer got burnt in the fire. 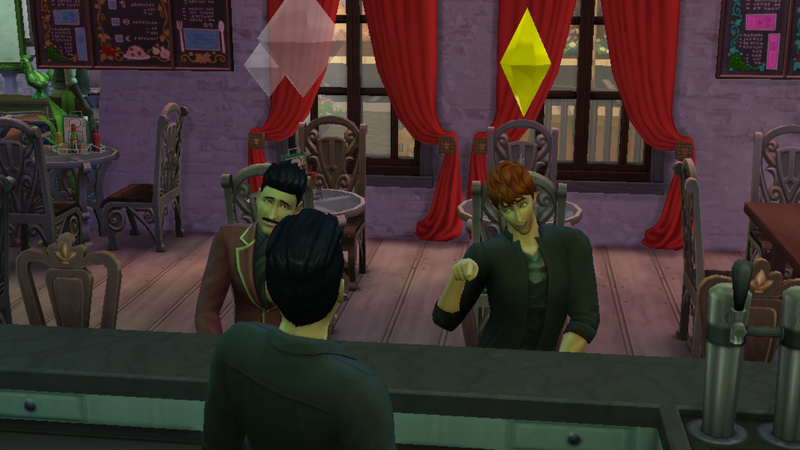 I thought for a moment that it was the last day of her life.But she was able to put out the fire from her body and the kitchen.And I heaved a sigh of relief. 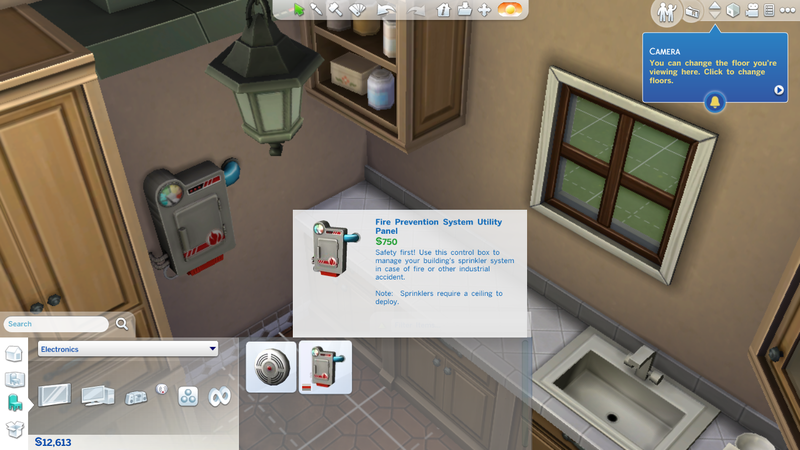 It's time to get a fire prevention system :) Fire ends for today.